‘The world’s largest photography awards is here to crown the very best“ the One Eyeland Photography Awards 2015 declare, not exactly modest but fitting. A high-calibre jury of international photographers chooses the best works out of thousands internationally submitted works. Edition Lammerhuber and its photographers like Gerd Ludwig, Alice Smeets, Patricia Willocq among others and its contributing authors collected an unimaginable 12 AWARDS IN GOLD, SILVER AND BRONZE! 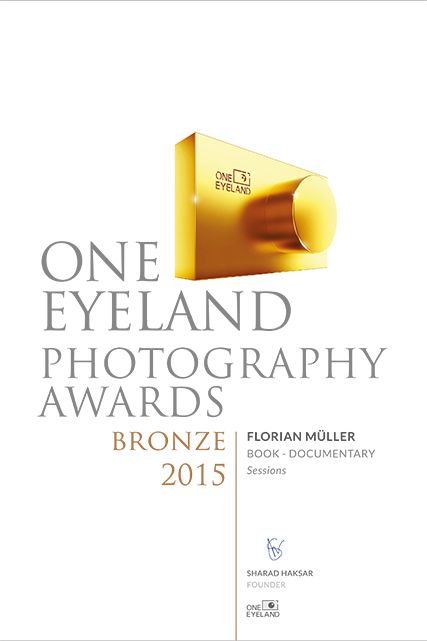 I am delighted that my book „Sessions“was awarded twice with Bronze. Edition Lammerhuber gained the recognition as Photography Book Publisher Of The Year for the second time! Congratulations and CHAPEAU! to publisher Lois Lammerhuber and his dedicated and warmhearted team! See the website of Edition Lammerhuberfor further information on its authors and the awarded publications.